News Flash - ISOFIX to be legalised in Australia in 2013! News Flash – ISOFIX to be legalised in Australia in 2013! Along with the Bugaboo Donkey announcement, this is the biggest news I can think of since becoming pregnant for the first time exactly eight years ago! After what feels like a lifetime of discussion and more than fifteen years after its introduction in Europe, it’s really happening; ISOFIX will be legal for use in Australia in 2013. Last year we were fortunate to meet Lotta Jakobsson, a leading worldwide car safety expert who was in Australia to host a special event held by Volvo. Heading up the International Organisation for Standardisation working group on child restraint systems (in road vehicles) she called for an overhaul of Australia’s child car seat regulations. There was some healthy discussion on our post regarding the issue and we are delighted that ten months down the track, we are hearing the news we have been waiting years for. ISOFIX is an applauded system the world over, tested and tried by millions of parents and now Australian parents and their children will have access to this state-of-the-art child car safety technology. So how many of our readers are going to embrace ISOFIX next year? 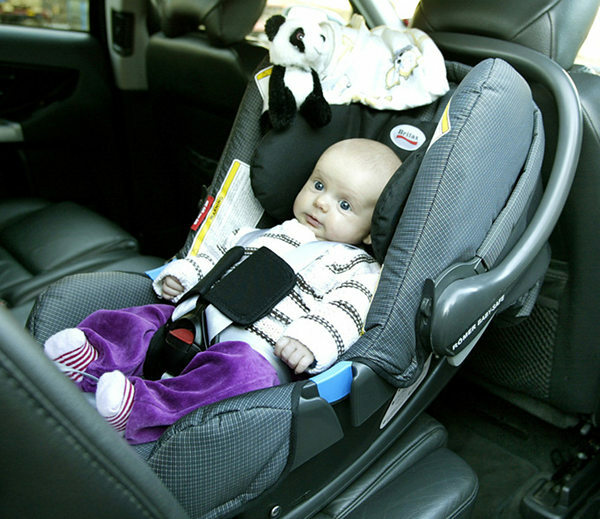 If you’re not sure what it’s all about, then read our detailed post from May 2011 – it includes safety statistics as well as a rundown of the ISOFIX system. We’re still waiting on news of the availability of ISOFIX car seats here in Australia.